If you are lucky enough to travel to Ireland this year, you have to make it to Belfast for a meal (or three). The city’s food scene is having a moment right now thanks to the abundance of world-class local, artisanal produce. Trust me: After years of living in Dublin, I made the move up to Belfast earlier this year. I’ve fallen in love with local favorites like the golden, creamy perfection of award-winning Abernethy butter, the extraordinary grass-fed beef from renowned meat producer Peter Hannan, delicious cheeses like the bold and beautiful blue Young Buck, or the fresh seafood from the clean, pure local waters. 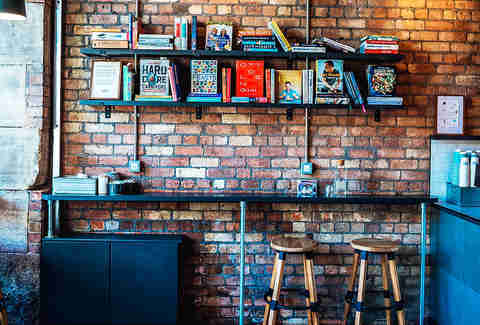 These products are being celebrated on menus throughout the city; from Michelin Star restaurants like Ox and EIPIC right through to casual bistros, delis, and cafés. There has never been a better time for foodies to visit Belfast, and here’s why. This is one of the first restaurants I recommend to anyone visiting Belfast, and its consistency is what makes it so special. Every visit has all of the elements I love about eating out: superb service, delicious food, and elegant surroundings. Based a little out of the city center on Lisburn Road, they offer one of the best deals in town with their £5 starter - £11 main - £5 dessert deal (that’s about $6.50, $14, and $6.50 right now, Americans). If you do visit, try some of my favorites: the foie gras and chicken liver parfait with Armagh apple and chilli jelly, or the orange and treacle tart with a Clandeboye yogurt gelato. Chef and restaurateur Tony O’Neill runs this buzzing Venetian cichetti bacari restaurant in St. Anne’s Square in the city’s Cathedral Quarter. Its attractive menu features snacks, small plates, pizzas, and pastas, and their cichetti (snacks) are one of my favorite things in the world -- I would happily sit with the feta fritters drizzled with truffled honey and order portion after portion all evening. The pasta dishes are excellent; I struggle between settling on the creamy smoked chicken ravioli or the local Portavogie prawns that star in the linguini with chorizo. They do a mean Negroni, too, but you’ll also find local ales and lagers on their drinks menu. If you ask anyone in Belfast for a special place to dine, you will undoubtedly get a recommendation for this outstanding Michelin-star restaurant. Head chef Stephen Thoman really cares about using the best of local, seasonal produce, and his menus change regularly to reflect all of the quality ingredients and producers surrounding him. Their lunch is an excellent value, or for a really special treat, try their five-course evening menu. And if you do go in the evening, you have to visit their wine cave for an aperitif and try to get a seat in the minstrels’ gallery for views over the River Lagan. This is an unmissable restaurant if you’re visiting Belfast. It’s one of the coolest in town, and, while it could rival any one Michelin star restaurant on the island of Ireland menu-wise, the vibe is very relaxed. Head chef Gareth McCaughey worked with Stephen Thoman in Ox before opening The Muddler’s Club in the Cathedral Quarter in 2015. Pro tip: Go for lunch. Dishes like mackerel, pea, and apple sound deceptively simple but are beautifully presented and absolutely unforgettable. Undeniably, Muddler’s Club is one of the reasons Belfast is getting its reputation for being a top culinary destination. Located across from St. Anne’s Belfast Cathedral, Curated Kitchen is a hip arrival to Belfast’s café scene. The menu changes every week with recipes from different cookbooks that owner Alan Cahoon and his team love. One week it’s Gary Rhodes, next week it’s Yotam Ottolenghi. They do great breakfast and brunch dishes -- just make sure to order a filter coffee, it’s one of the best that you’ll ever have. This place is pure Belfast. An institution and hidden treasure, it’s a traditional chip shop that has been serving up incredible fish and chips since 1914. One taste of the fresh, moist flakes of fish coated in hot, light, crackly batter accompanied by vinegar-splashed golden chips, and you can understand why it’s become one of Belfast’s most popular destinations for a fish supper. The smiley and friendly welcome from Belfast’s oldest chipper is also part of the appeal. This may not be the world’s fanciest menu or surroundings, but that’s exactly why you’re there: great food, great value, and authentic Belfast hospitality. The menu in this popular, no-nonsense burger joint is so concise it fits on a business card. 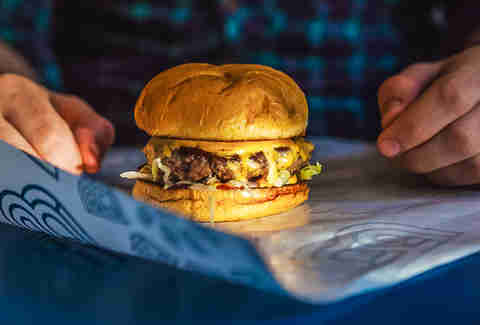 Bunsen is an independent Irish burger chain founded in 2013 by chef Tom Gleeson, who expanded to Cork and Belfast after huge success with the four restaurants in Dublin. Your options are burger or cheeseburger, toppings, a few different kinds of fries, and that’s it. I adore these burgers; Black Aberdeen Angus supplied by FX Buckley, perfectly seasoned, succulent, and full of flavor. Located in the Cathedral Quarter, this is the perfect spot for a great-tasting budget bite. If you fancy a romantic date night while in Belfast, this is the place to go. 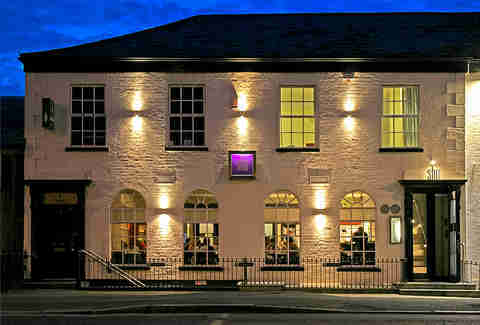 They offer superb value on their early bird special, which is £21.50 (about $28 US) for three courses. Niall McKenna is head chef of the James Street South group, which also includes the Bar + Grill, Hadskis, and the Cookery School. At James Street South, the menu is renowned for classic dishes with lots of local influence in the choice of ingredients. 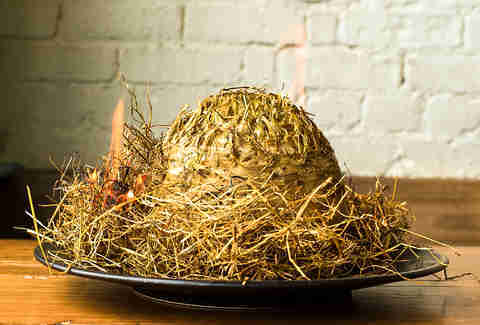 Expect dishes on their tasting menu like a chilled crab lasagna or filet of beef with Hannan’s salt-cured ox cheek. 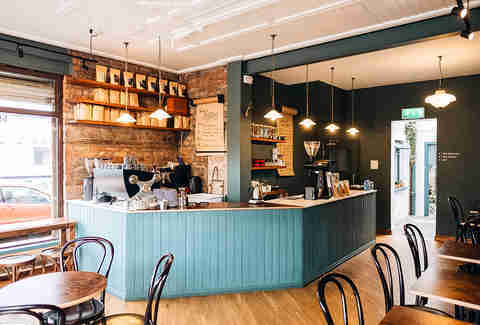 For one of the best coffees in Belfast, you have to visit either branch of these two lovely coffee brew bars in Belfast, one a roastery and brew bar at Jameson Street, and the other a coffee shop and brew bar at Ormeau Baths. Run by Ben Craig and Simon Johnston, they don’t just pay lip service to sustainability here -- care for the environment is at the heart of their ethos. Every Sunday they host live acoustic sessions, and if you’re looking for a gift for a real coffee lover, book them one of the coffee courses. Michael Deane is the Godfather of the Belfast culinary scene, with seven restaurants that he runs across the city. EIPIC is his fine dining, one Michelin star restaurant where Alex Greene is the head chef. Located in the city center, EIPIC is a classic, elegant Michelin experience with a spacious and beautiful dining room. It’s a joyous journey through the very best of Northern Ireland produce, and you will fall in love with dishes like the tartlet, Hannan’s black bacon, peas, broad beans, and cheddar, or the halibut, watercress, chicken, buttermilk, and sea herb. For one of the best bargains in the city, book their incredible £30 (about $39) lunch. You will leave happy. 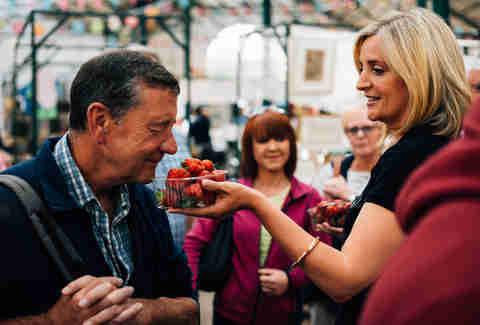 If you want to experience as much of Belfast’s food as you can, go on Caroline Wilson’s Taste & Tour NI. She began the “Belfast Food Tour” in 2014, based entirely on local produce and producers. 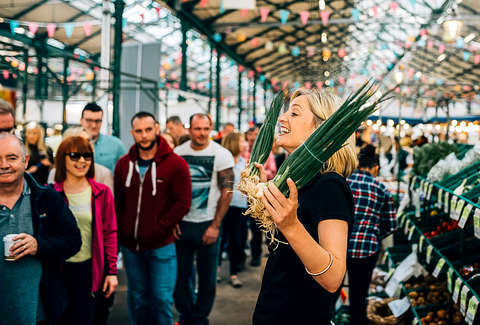 The fun, four-hour guided tour is full of great food and drink, and begins in the historical hub of Belfast food, St George’s Market. This is the last surviving Victorian covered market in Belfast, dating back to 1890. You will meet producers from all over Northern Ireland, visit some of the best local pubs & shops in the city, and round it off in a top restaurant in the Cathedral Quarter. It’s extremely popular, so just make sure to book in advance. Long gone are the simple days of a gin, tonic, and slice of lemon when you order a “G and T.” The explosion of incredible Irish gin producers has led to a never-ending amount of options for your gin, your tonic, the glass it’s served in, and whether it comes with grapefruit, rosemary, cucumber, or honeycomb. Gin lovers will find a new heaven at the annual Belfast Gin Fest. Seedhead Arts and Taste and Tour NI are behind this two-day summer festival, and you’ll meet some of the finest Irish -- and global -- gin producers in person to learn all about their craft. The exciting schedule is packed with talks and lectures from distillers, demos, and of course, great food. There are cool drinks on tap, cocktails, and new combinations to savor over the afternoon or evening session.